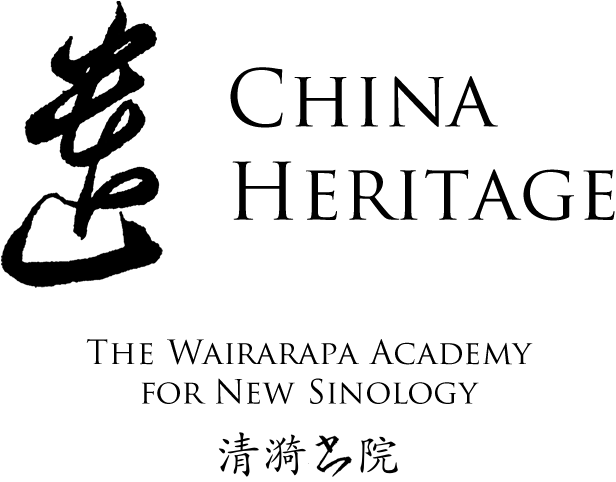 The Wairarapa Academy for New Sinology 白水書院, in the Wairarapa (te reo Māori for ‘glistening waters’) Valley, New Zealand, is an independent body established by John Minford and Geremie R. Barmé. The Academy, presently a virtual site, promotes New Sinology, an approach to the study of the Chinese world first propounded by Geremie R. Barmé in 2005 when he established the China Heritage Project at The Australian National University. New Sinology formed the basis for the online journal China Heritage Quarterly (2005-2012) and found practical form in the establishment and first five years of the Australian Centre on China in the World, ANU, which Barmé created with the support of Kevin Rudd and the Australian Commonwealth Government in 2010, and which he led as its director from April 2010 until May 2015. We believe a new framework is required with which to enhance the serious and independent study of the broader aspects of traditional Chinese Studies and to further a deeper and more cultured understanding of China and its increasing global presence. Such a framework will also help train translators and scholars, men and women engaged in public life and international affairs, who will be grounded in the powerfully relevant aspects of Chinese culture and thought, and will be genuinely competent to engage with and translate Chinese texts so that their deeper and abiding cultural meaning can be properly understood and effectively transmitted. A deeper understanding and a finer quality of translation are both essential means towards better international understanding, for better or for worse, for weal or for bane. We call such an holistic approach to the study of China today New Sinology, its goal being to expand and enrich the increasingly short-sighted, metrics-obsessed outlook of universities and institutions across the world, and to embrace broader humanistic values. We are acutely aware of the dangers inherent in the forming of a new body, no matter how ‘non-institutional’ or ‘independent’ it may claim to be. We believe that the Academy must not be allowed to become an institution, and fall prey to the very same managerial traps that beset the failing universities of today. Rather, it must remain open and informal, flexible and creative, a lively global salon, a latter-day Gathering at the Orchid Pavilion 蘭亭, one that will draw in like minds to a fruitful interplay of the spirit, in a free rhythm that allows ideas to be shared and to grow spontaneously. In terms of its literary style the Academy may wish to emulate the age-old Chinese mode of the informal jottings 筆記, its critical approach may prefer to be one of appreciation and celebration, akin to the ‘poetry commentaries’ 詩話 of former days. It may generate its own anecdotal journal-like blog, recording interesting insights, moments or encounters, a present-day New Tales of the World 世說新語; its symposia and cultural gatherings 雅集 may stimulate not stale theoretical discourse but ‘pure talk’ 清談. We look to the Seven Sages of the Bamboo Grove 竹林七賢 for inspiration, and also in our own tradition to the Pre-Raphaelites, the Bloomsbury coterie, the Algonquin Round Table and to the Davidsbündler in their ongoing struggle against the Philistines. See also Jack Barlow, ‘Leading Scholar to Set Up Chinese Studies Institute in Featherston’, The Wairarapa Age, 7 October 2016, online here.